Life can be one of those things that we can sail on through when it’s going well. We can be happy in our careers, be successful and fulfilled, married or settled with someone, having a family or having positive goals for the future, and just knowing and feeling like life is good. However, in an instant, things can change once more where life can feel tough. A job may be lost, we may not feel physically well or even things like relationships failing or struggling with finances. 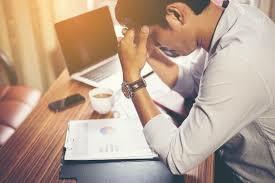 Men notoriously find it difficult to talk about things when it gets too much, and so the stress of the situation can take over and then things like anxiety and depression can set in before we even realize it. However, there are changes you can make to make yourself feel so much better. I thought I would share with you some of the changes you could make. One of the obvious things to do would be to change your diet. It may sound crazy, but what you put into your body, be that food or drink, can have a serious effect on what you get out of it. In hard times, we can be more likely to turn to things like junk and convenience food and wash it down with alcohol as a way of masking the problem and in attempt to make ourselves feel better. The truth is, it has an opposite effect. Which is why things like a well-balanced diet and even attempting to cut out the alcohol could be a wise move to make. Men’s Sober Living is easier to achieve when you have support, and eating well can actually help to increase your energy levels and help you to feel better about things. It is important to ensure that you start exercising and moving your body more. This can be a great way to naturally rid yourself of bad demons and feelings you have in the way of stress, anxiety and depression but they talk hold. I understand that exercising isn’t for everyone, especially if you are the type of person that doesn’t do it. But you can really improve the way you feel just by being more active and making that promise to yourself. You might also want to consider what you have in terms of goals for the future. It may sound silly, but often men can struggle with moving forward if they don’t feel like they have a direction or path to take. It might be that your career is getting you down, your home life isn’t so great, or you feel like you haven’t done much in the way of your life. But it doesn’t mean that it is over, and making positive changes and goals for the future can be just the motivation you need to take steps in the right direction. Sometimes it is difficult to overcome things, but a lot fo the time it is in the mindset and how you feel. I hope that implementing some of the above changes can help you change the way you feel right now and for your future.